Steve McVittie, president of the Royal Society of St. George, British Columbia Branch (SGSBC) is rallying supporters to have April 23 declared St. George Day. Newfoundland and Labrador currently celebrate the Monday closest to April 23 as a provincial holiday. Steve would like to see the same happen here in BC. 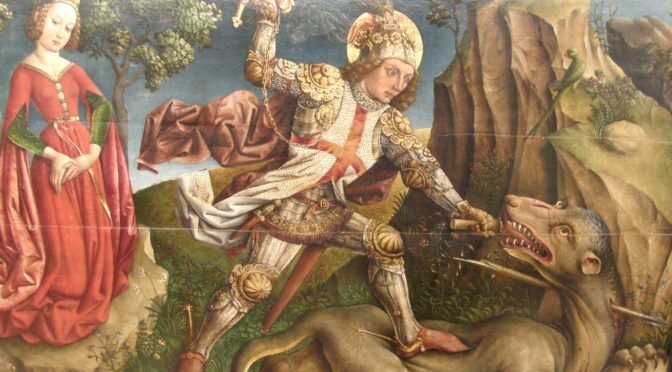 While St. George is widely know as the dragon slayer, no one here at Dragon Mist Distillery will hold that against him. In fact, to show our support of his initiative, Edith and Gary from Dragon Mist Distillery will be attending the “British Invasion” St. George Day Celebration, April 21, 2018 at the Roundhouse Community Centre, 100 Davie Street, Vancouver, BC. Sherry will also attend New Westminster Farmers Market 11am to 3pm, and Don will be at the Haney farmers Market, Saturday, April 21 (Earth Day) 9am to 2pm.